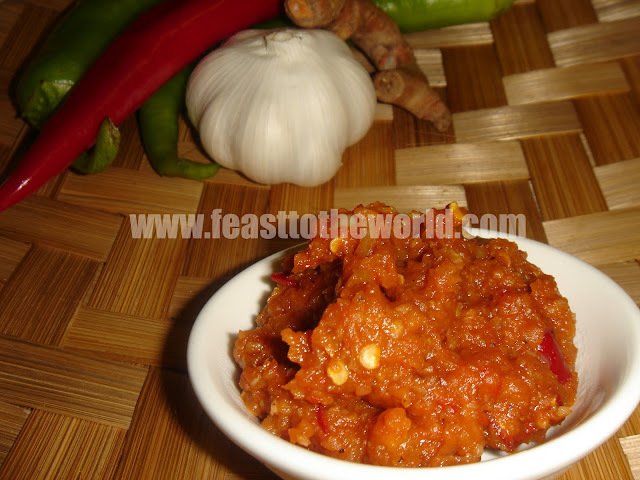 During my recent pickle mania fever (what with all the Achar and Kimchi), I have also made these two hot condiments. 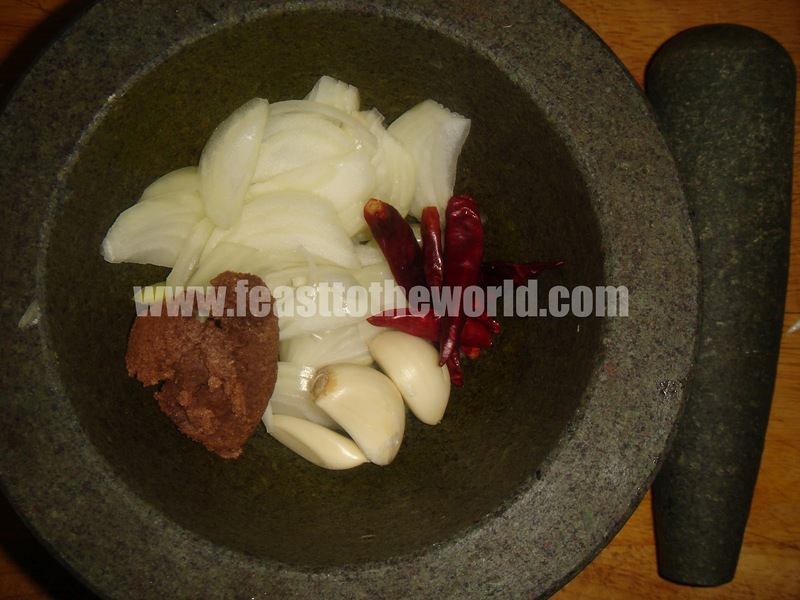 These are the two common condiments widely available in all Malaysian and Singaporean hawker centres or mamak stalls. I remember that I used to have them all the time with dishes like Nasi Lemak (one my favourite breakfast dish), mee goreng, mee siam, hokkien mee and the list goes on. 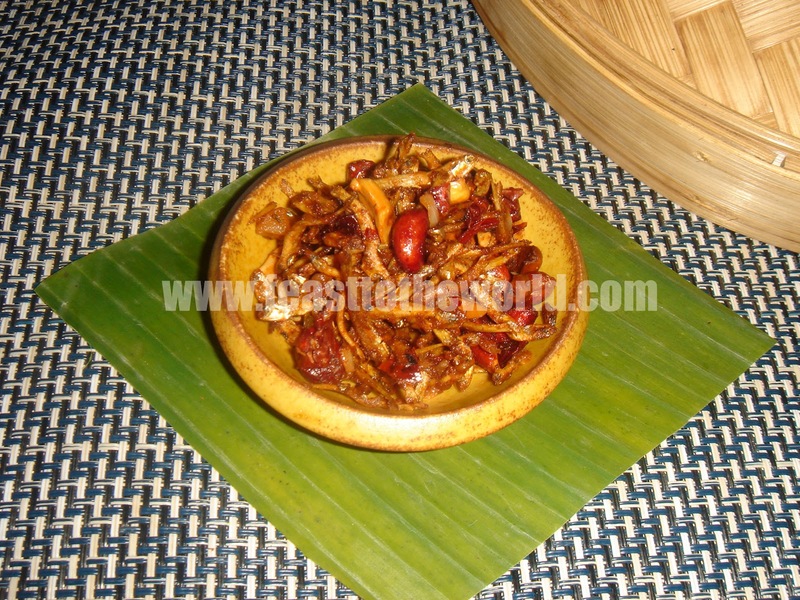 Sambal Ikan Bilis is made using crispy dry anchovies, known as ikan bilis and roasted peanuts. 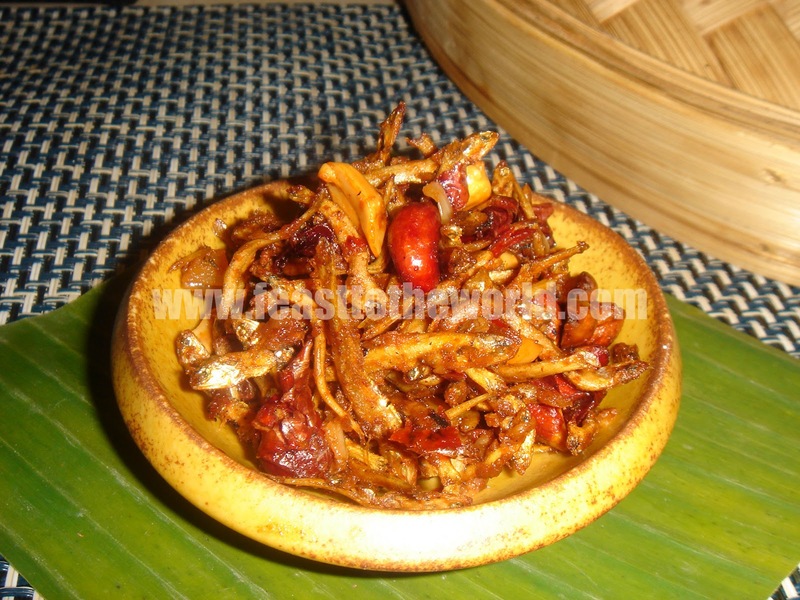 It provide a spicy kick and crunchy texture to any main dishes which is quite delectable. This also serve as a great snack to go with pints of good Singapore Tiger beer (just being slightly patriotic here, any beer of your choice will do). 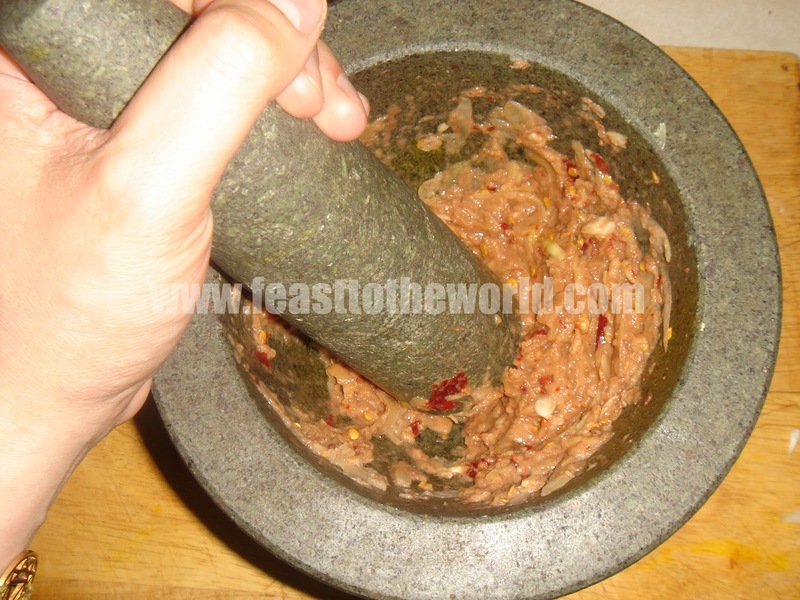 Grind all the ingredients for the spice paste in a mortar and pestle. Heat the oil in a wok over medium-high heat. Add the spice paste and stir fry for 5-6 minutes, until fragrant. 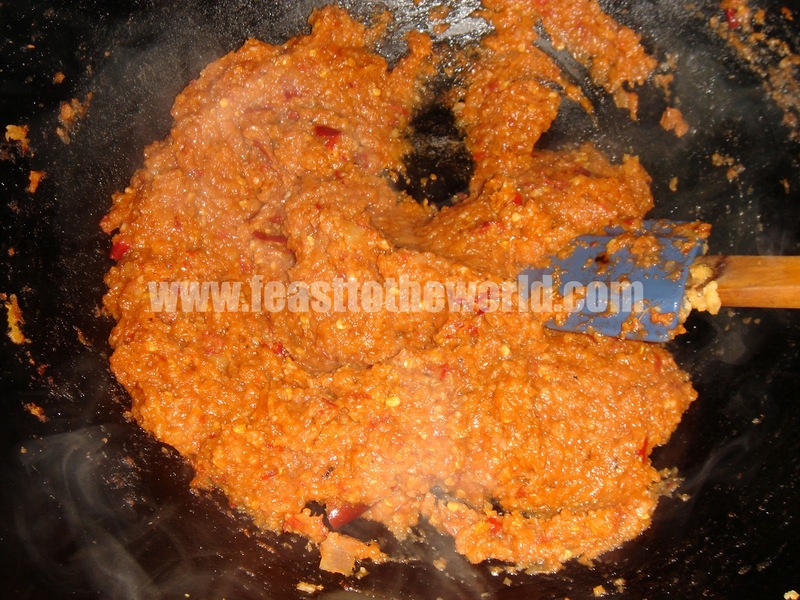 Add the tamarind pureé, tomato paste, sugar and salt, Stir and cook for another minute. Add the peanuts and ikan bilis and mix well. Serve immediately or store in an airtight container for a few week. Pound all the ingredients for the rempah/spice paste in a mortar and pestle to a fine paste. Heat the oil over medium heat. 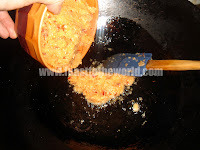 When smoking, add the spice paste and stir fry for about 8 minutes, stirring regularly until the paste is fragrant and most of the moisture has been cooked off. 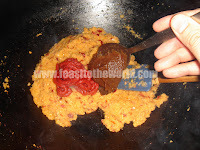 Add the tamarind pureé, tomato paste, sugar and salt to taste with a touch of water if it looks too dry. 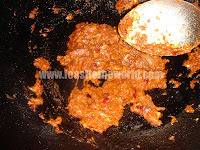 Cooked for another minute or two, then transfer to dish. Use immediately or stored in an airtight jar in the fridge for up to 3 weeks. yum yum, I could go through this easy, it's addictive. 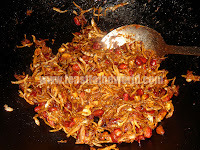 this is crying out for nasi lemak!! Yes it does, doesn't it? That did crossed my mind until I found myself munching through the entire sambal ikan bills so will have to make a new batch for Nasi Lemak next time.